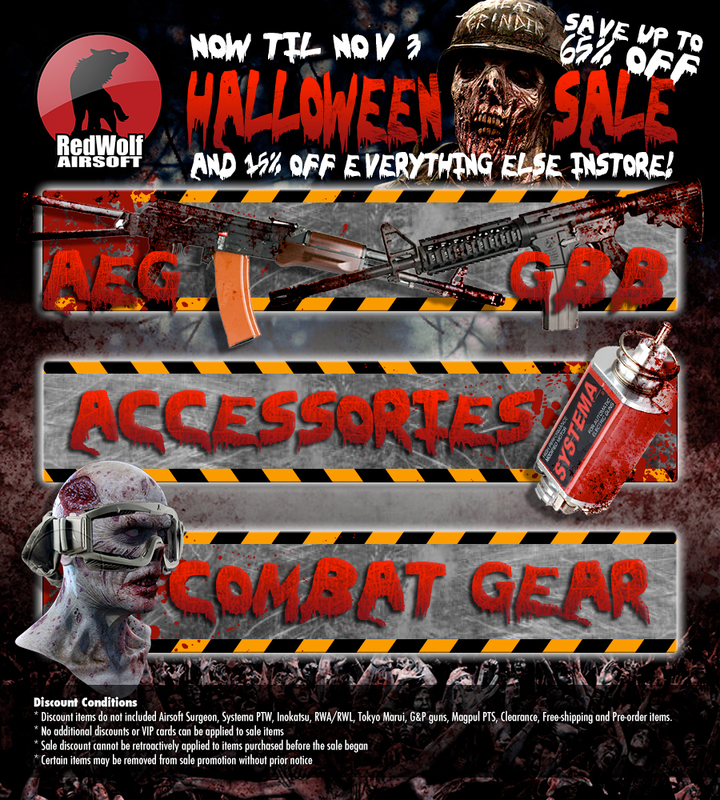 You are here: REDWOLF > Home > News >News Detail - Halloween Sale and 15% off EVERYTHING ELSE IN STORE! Halloween Sale and 15% off EVERYTHING ELSE IN STORE! - Discount items do not included Airsoft Surgeon, Systema PTW, Inokatsu, RWA/RWL, Tokyo Marui, G&P guns, Magpul PTS, Clearance, Free-shipping and Pre-order items.